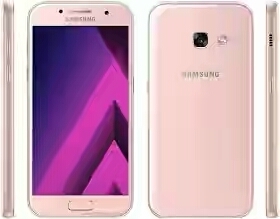 This is the smallest version in the Galaxy A series launched this year 2017. The Samsung Galaxy A3 2017 runs on Android 6.0.16 Marshmallow, 4G LTE enabled, lesser speed, battery, camera and screen size. See the full specs below.